I managed to talk the husband into getting me my Xmas gift a little early this year! 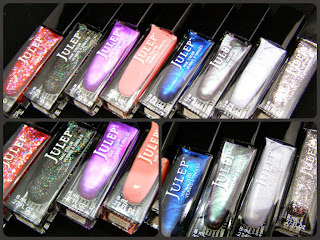 I got (yet another) email from Julep about their special boxes of polish. Generally, I have zero interest. 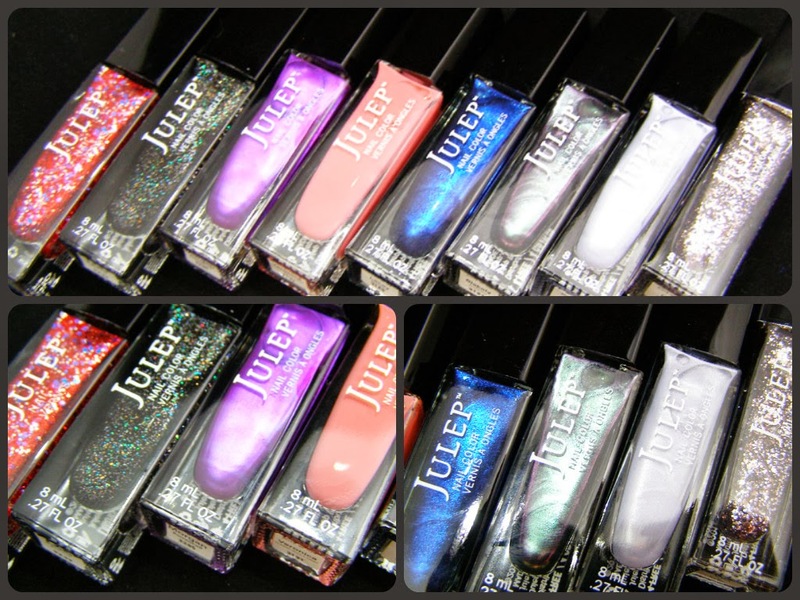 My experiences with Julep polish have been less than stellar. (see what I did there?) This time, the spam email actually had something I was interested in: space themed mystery boxes. 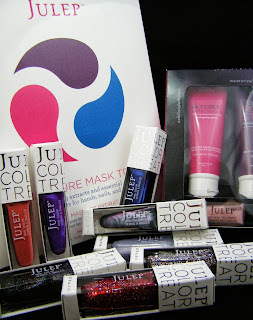 I finally broke down, and got a Julep product. I'm really glad I did, it was just such a good deal! everything. I didn't even know what was here. it really isn't a bad deal. Look at the shiny! 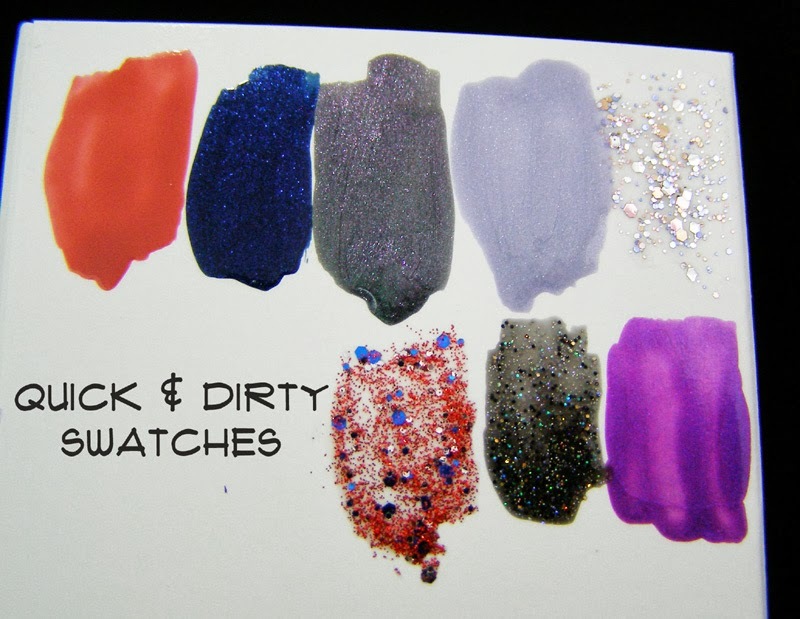 moisture masks for nails, hands and feet. hand scrub, hand lotion, and nail treatment. I haven't really played with anything other than the Rock Star hand creme. It's a little greasy for my taste, but the smell is pleasant and the lotion is hydrating. I promise to report back once I've played with the products! I can definitely see some halloween friendly applications here! There are some pretty colors! 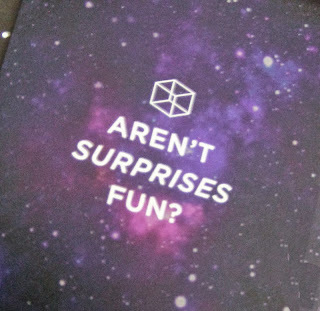 There are! I've got swatches in the works...and possibly a giveaway of a few of them! Oooo! I eyed this one up....a lot....and ended up passing on it seeing it now, I'm a bit bummed that I did. Some really cool colors in there!